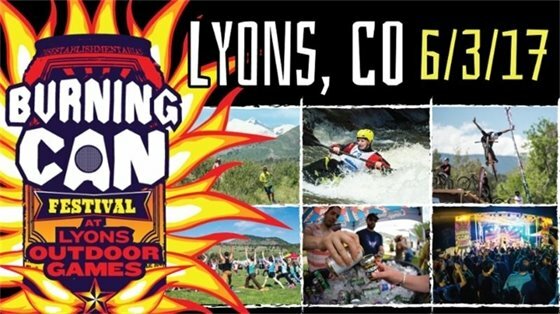 The Town and its associated contractors involved with the design and engineering of the North St. Vrain restoration are excited to showcase the new state-of-the-art whitewater park in LaVern M. Johnson Park, for the 2017 Lyons Outdoor Games Slalem Competition. The design of the stream through LaVern Park is more suited for slalom racing, whereas the event's previous location, Black Bear Hole, is more accommodating to freestyle play-boating kayaking. To continue its support for the kayaking community, slalem gates will be installed within LaVern Park in early April. Kayakers are welcome to utilize the gates as a practice course, through the weekend of the Outdoor Games. The gates will be removed following the event, during the weekend of June 3-4. An individual, on-site, wildfire home assessment – If you are accepted into Wildfire Partners, you will actively participate in your comprehensive assessment with a Wildfire Mitigation Specialist. Together, one of your tasks will be to examine the trees and other vegetation in your defensible space zones. The specialist will mark vegetation with blue paint for removal. Valued at $250, the assessment takes two to four hours to complete and, in 2017, is provided at a charge of $100. Financial awards to subsidize the cost of hiring a 2017 Wildfire Partners Forestry Contractor – Financial assistance is available only to homeowners who choose to hire a 2017 Wildfire Partners Forestry Contractor. Wildfire Partners will pay 50% up to $2,500 of these forestry costs. Free access to Wildfire Partners Phone Advisors – Our phone number: 303-441-1420, and email: info@wildfirepartners.org. Advisors are available from 8 a.m. – 5 p.m., Monday – Friday, to assist participants. A Wildfire Partners Certificate, letter and yard sign stating that you have mitigated your home – After you (or your forestry contractor) successfully complete your check list, we will return for your final inspection. After completing this step, you will receive your certificate and letter that you can send to your insurance company. Allstate and USAA Insurance recognize this certificate as proof of proper mitigation. State Farm recognizes this certificate for renewal business. We are not aware of any insurance company who has denied coverage for a Wildfire Partners certified home. The certificate is transferable and can be uploaded to your MLS listing to help you sell your home (the new owner just needs to participate in a free educational site visit). Increased peace of mind – By completing mitigation measures correctly, you will feel good about yourself knowing you have acted responsibly to help protect your family and the first responders who put their lives on the line for your community. At the same time, you will learn about fire behavior and understand that becoming a Wildfire Partner does not guarantee your home will survive a wildfire. You must apply and be accepted into the program to take advantage of this opportunity. The Wildfire Partners’ application can be completed and submitted online at www.WildfirePartners.org. If you are unable to submit an application online, you may call a Wildfire Phone Advisor at 303-441-1420 for assistance.